Head of National Crime Agency unit says Russian officials will not say if money entering UK is from proceeds of crime. Britain is struggling to stop vast sums of potentially criminal money entering the country because investigators are being hampered by the Russian authorities, the head of the National Crime Agency money laundering unit has said. Labour has been granted an urgent question in the Commons on the subject. The shadow chancellor, John McDonnell, will raise the issue at 12.30pm on Tuesday in a debate, with a government minister responding. Little, who is head of the NCA’s money laundering and corruption intelligence desk, said his team exchanged information with the Russian Financial Investigation Unit. But he hinted that frosty diplomatic relations between the UK and Moscow, and the murky internal politics of Russia itself, made it impossible to pursue leads. 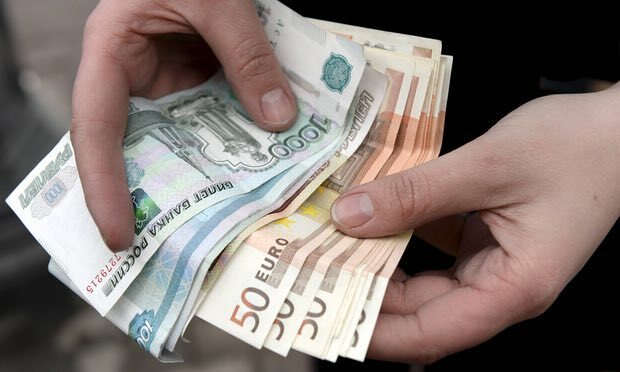 On Monday, the Guardian revealed that police in eastern Europe have been investigating how at least $20bn was moved out of Russia during a four-year period from 2010. Detectives have exposed a money laundering scheme, called the “Global Laundromat”, that was run by Russian criminals with links to their government and the former KGB. Documents seen by the Guardian show British-registered firms played a prominent role in the money laundering network – and the UK’s high street banks processed $740m from the operation without turning back any of the payments. The banking records were obtained by the Organized Crime and Corruption Reporting Project (OCCRP) and Novaya Gazeta from sources who wish to remain anonymous. OCCRP shared the data with the Guardian and media partners in 32 countries. The documents include details of around 70,000 banking transactions, including 1,920 that took place in the UK and 373 in the US. Little said he thought it was likely that other sophisticated, long-running schemes like the Laundromat were still being used by criminals. He said the NCA would be reviewing its work on the Laundromat in the light of the revelations. Robert Barrington, the executive director of Transparency International UK, said the revelations of the UK’s role in financial crime should “come as no surprise to anyone”. “A year after the Panama Papers, we can see that the anti-money laundering supervisors have been asleep on the job, the banks have been at best lax and at worst complicit, and the UK’s law enforcement agencies have a dismal track record of investigations that lead to prosecutions. Roman Borisovich, a former banker and anti-corruption campaigner, said the British government needed to do more to end offshore secrecy. It should identify the real owners of offshore companies doing business or owning assets in the UK. “In Russia I have witnessed an entire shadow industry of money laundering engineered by professional financiers and operated by organised criminal groups under the Kremlin’s watchful eye,” he said. HSBC, the Royal Bank of Scotland, Lloyds, Barclays and Coutts are among 17 banks based in the UK, or with branches here, that are facing questions over what they knew about the international scheme and why they did not turn away suspicious money transfers. HSBC processed $545.3m in Laundromat cash, mostly routed through its Hong Kong branch. The troubled RBS, which is 71% owned by the UK government, handled $113.1m. Coutts, which is owned by RBS and used by the Queen, accepted $32.7m of payments via its office in Zurich, Switzerland. Coutts is winding down its Swiss operation and was last month fined by regulators for money laundering in a different case. According to the Central Bank of Russia, capital flight out of Russia during the Vladimir Putin years exceeded $1tn.